Aside from having a no logging policy, EarthVPN also offers cheap VPN plans that come with army-graded encryption. EarthVPN stores no logs, thus allowing for secure online activities and protecting your privacy and personal data from getting compromised. EarthVPN offers a budget virtual private networking (VPN) service that doesn’t cut corners on the features offered. This is a fairly new provider with 32 different server countries and 114 locations. The countries are: Turkey, South Africa, Panama, United Kingdom, Bulgaria, Sweden, Switzerland, Norway, USA, Canada, Luxembourg, Belgium, Italy, Romania, Poland, Germany, Australia, Spain, Ukraine, Brazil, China, France, Singapore, Russia, New Zealand, Japan, Austria, Hong Kong, Netherlands, India, Ireland and Estonia. It’s easy to set up the EarthVPN service and up to three devices can be used simultaneously so long as they all operate via the same IP address. It’s not possible at the moment to operate a mobile device simultaneously from the VPN service but mobile services can be purchased at discounted rates for second devices. The company does offer a 7 day full money back guarantee for customers experiencing problems with the service or who are unhappy with speeds or connectivity. 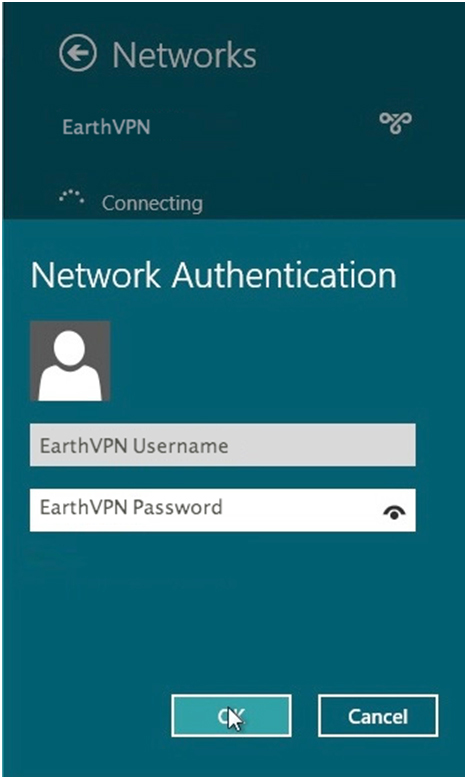 Some of the features of the EarthVPN service include unlimited bandwidth and a guarantee that no logs are kept on user activities. Filesharing is a simple matter with EarthVPN which is enabled for torrents and P2P and unblocking censored websites is just a simple matter of accessing the correct servers. Customers can access any of the servers and be assured to total confidentiality of data transmitted and received. 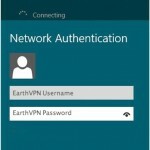 It is possible to purchase additional features to customize the EarthVPN plan to specific requirements. Some of the add on features include adding extra devices such as mobiles, upgrading to 256-bit AES encryption, SSH Tunnel/Socks proxy enablement and registering for a static IP address. One of the principal benefits of VPN use is the securely encrypted tunnel for all Internet use. The customer’s IP address is hidden within the tunnel and a unique IP address allocated by the chosen server ensures the anonymity of all website browsing and downloading. For customers this means that there is no possibility of third party eavesdropping or hacking of data and there is no way Internet Service Providers (ISP) can track or throttle internet use as the ISP can only track users into the VPN and once the customer has a unique IP address allocation it is impossible to trace the sites visited. Customers based in locations operating censorship of websites can bypass such restrictions by logging into servers located in different parts of the world. This means that sites such as Hulu or Netflix can be accessed from anywhere in the world, allowing customers to view their favourite TV shows and programmes. One drawback of EarthVPN is that the budget costs can be raised significantly when all the add ons are included with the plan, raising costs to levels as high or higher than some other providers.